The water has been cold and crystal clear in the ICW this past week. There have been many big Snook in the shallow flats sunning themselves all day. They will be laid up facing the current waiting for and easy meal to come by. 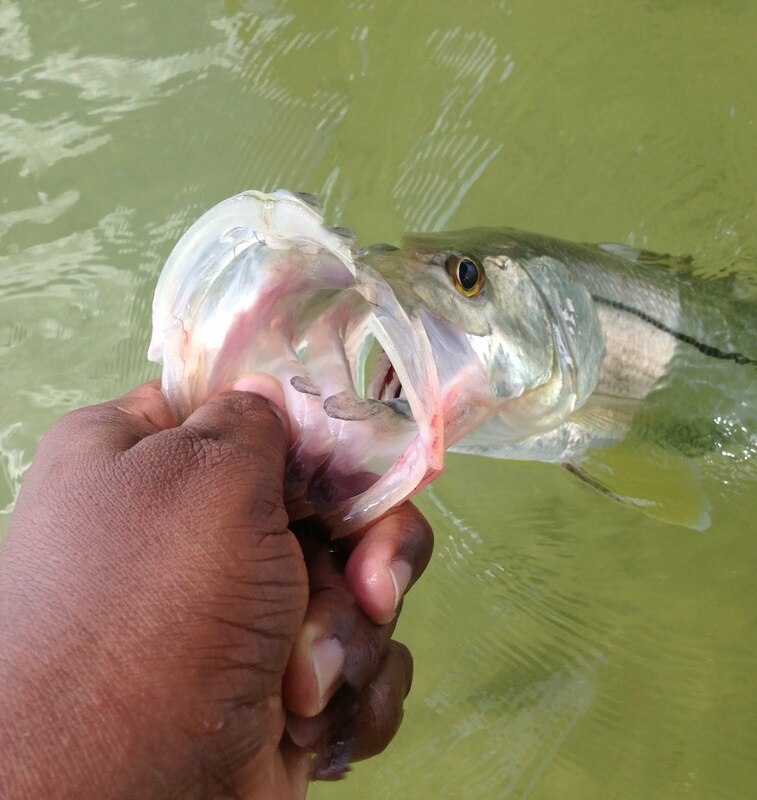 With the water being cold and clear you have to run a light leader and present the bait perfectly or they will spook. There have been many Redfish in the Fort but its been hard to get the bite, flies in brown and orange shrimp and baitfish patterns seem to get the bite.